Nanomaterials in 0-D, 1-D, and 2-D geometry such as quantum-dots, carbon nanotubes and nanoclay/graphene have been used effectively as coating and fillers for many products to achieve nanoscale effects. Examples of these nanoeffects include the stain free textiles utilizing the lotus effect and the nanoclay composite for improvement of strength and fire retardancy of automotive components. In order to amplify the nanoscale effect and provide a means to carry the nanoscale effect to macrostructures, the nanoparticles were incorporated in a nanofibre to form nanocomposite fibrils and yarns. This was carried out by a co-electrospinning process wherein nanocomposite fibrils were spun from a spinning dope consisting of a mixture of nanoparticles and polymer solution. The thermal, mechanical, biological, electrical, optical and magnetic properties of these nanocomposite systems were characterized. The multiphase fibrils and fibrillar assemblies not only manifest the nanoscale effects inherent to the individual nano-components but also facilitate processing and translation of the nanoscale effects to macroscopic structures. In this presentation the processing, structure and properties of nanocomposite fibrils consisting of various nanofillers are presented. The implication of the availability of these nanostructured materials and their translation into higher order structures for various advanced applications are discussed. Professor Frank K. Ko is Director of the Advanced Fibrous Materials Laboratory and Canada Research (Tier 1) Chair Professor of Advanced Fibrous Materials in the Department of Materials Engineering at the University of British Columbia. He has a Ph.D. degree in Textile Engineering from the Georgia Institute of Technology. A SAMPE Fellow and Fellow of Textile Institute (Hon) he is a recipient of the American Society for Composites award and the Fiber Society Award for Distinguished Achievement. 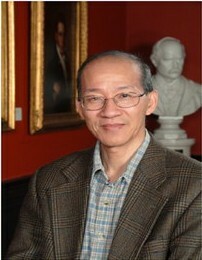 Professor Ko has co-authored three books and contributed to 33 book chapters. He has presented and published over 450 papers in the engineering design and analysis of fibrous structures for medical, industrial and advanced composite applications. He is serving on the editorial board of several Journals including the area editor of nanofibre technology for the Journal of Engineered Fibers and Fabrics. He served on the Roadmap team for the Aerospace Industry Association and as a member of the advisory committee on soldier protection for the Army Board of Sciences of the National Research Council. He was a member of the advisory committee of CANMET, NRC in Canada.